Prof. Vinu is the Global Innovation Chair and Director of the Global Innovative Center for Advanced Nanomaterials at the University of Newcastle, a position he has held since October 2017. 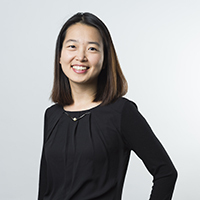 Dr Inyoung Kim is conducting research on development of novel 2D nanohybrid materials for electrocatalytic hydrogen evolution reaction as part of her DECRA project funded by ARC in 2017. Her research interests are in exploring nanohybrid materials with unique physicochemical features and the analysis of their local atomic structure using X-ray absorption spectroscopic (XAS) techniques. Prof. Kazunari Domen, The University of Tokyo, Japan. Prof. Arivuoli, Director, Crystal Growth Center, Anna University, India.